Don’t forget! Washington Square Park Blog hosts a Walking Tour of Washington Square Park this Saturday, September 20th, 1 p.m.. Learn what the redesign of this famous park (currently in progress) really means as well as some of the Park’s and neighborhood’s illustrious history. Come on out! WALKING TOUR: WASHINGTON SQUARE PARK: PAST, PRESENT AND FUTURE — A Guide to New York City’s Redesign of a Perfect Public Space * Saturday, September 20th, 1 p.m.
Raindate: Saturday, September 27th, 1 p.m.
Co-presented with the Washington Square Community Improvement District. The Community Improvement District(CID) is a new concept. We want our communities to be empowered to make decisions that are best for the community as a whole, not just (as the Business Improvement Districts – BIDs – are oriented to do) for real estate and business interests. The goal is quality of life as opposed to quantity of business. We believe that without community, there is no democracy. 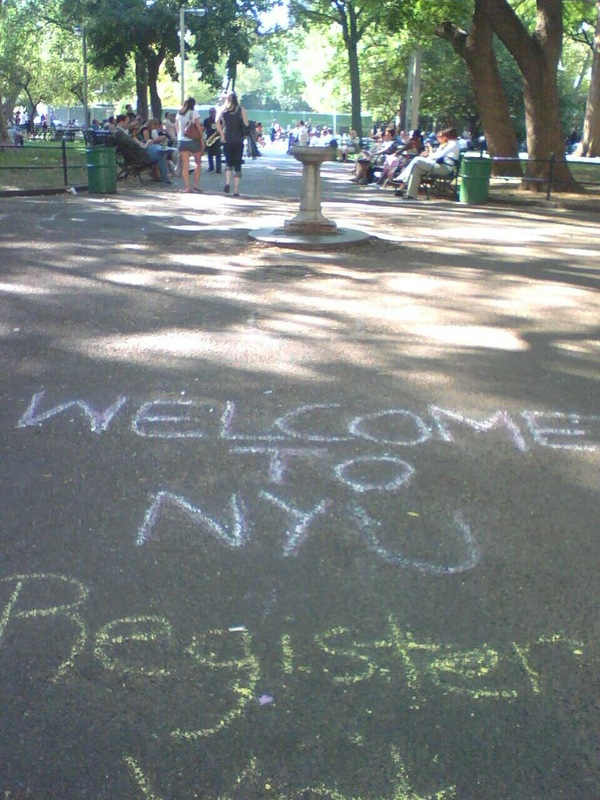 At Washington Square Park, the neighborhood BIDS, along with NYU, the Tisch Family (Tisch Fountain, anyone? ), and Mayor Bloomberg have played a role in a redesign plan that is destroying the very heart of this renowned park. Come find out more — and maybe something you can do! Come on the tour (it’s fun!) and see what the redesign of Washington Square Park really means, while learning some of the Park and neighborhood’s illustrious history. Community Improvement Districts(CID) are a new model organizing to promote the well being of the community. CIDs are distinguished from the Business Improvement Districts(BIDS), whose sole interest is promoting better business and an environment conducive to shopping. 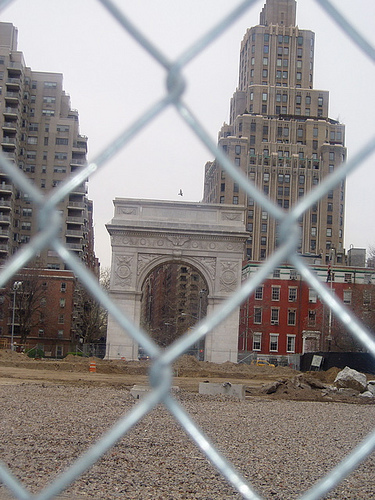 At Washington Square Park, the neighborhood BIDS, along with NYU, the Tisch Family, and Mayor Bloomberg have played a role in a redesign plan that is destroying the very heart of this renowned park.